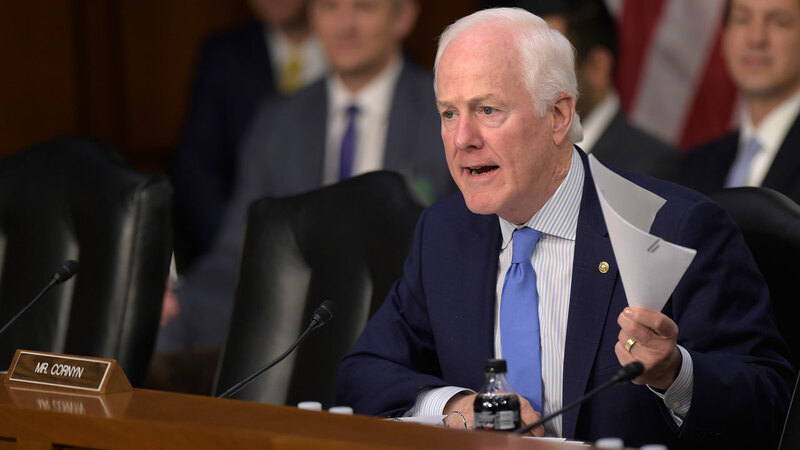 Texas Sen. John Cornyn has taken himself out of the running to be FBI director, telling the Trump administration that he'll stay in the Senate. Cornyn was interviewed for the post after President Donald Trump fired James Comey. But he said in a statement Tuesday that "the best way I can serve is continuing to fight for a conservative agenda in the U.S. Senate." A source familiar with Cornyn's thinking said the senator felt "obligated" to consider the job because a friend, Attorney General Jeff Sessions, asked him to. The source declined to be named because the decision was private. The administration has interviewed at least eight candidates to replace Comey, of more than a dozen being considered. Trump has said a decision could come as soon as this week.